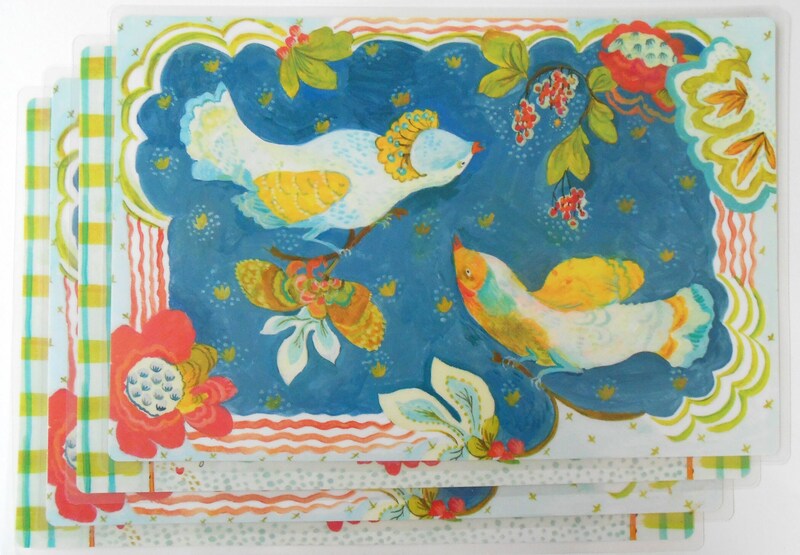 Lovebirds in the Lilies reversible laminated placemats by Kimberly Hodges. 12" x 18" in strong 10 ml laminate. 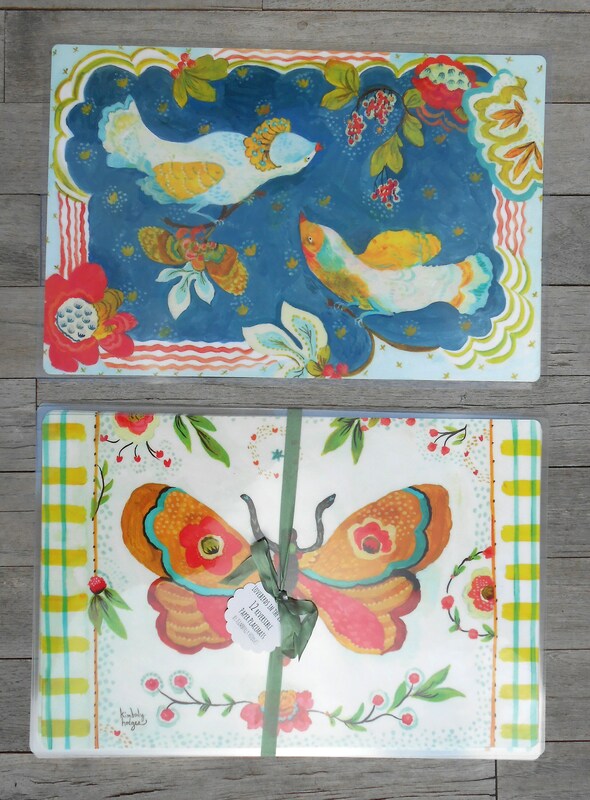 Lovebirds in the branches on one side and a cheerful moth on the other to liven up your table, and so easy to clean up! Great for beach decor, hostess gifts, families. 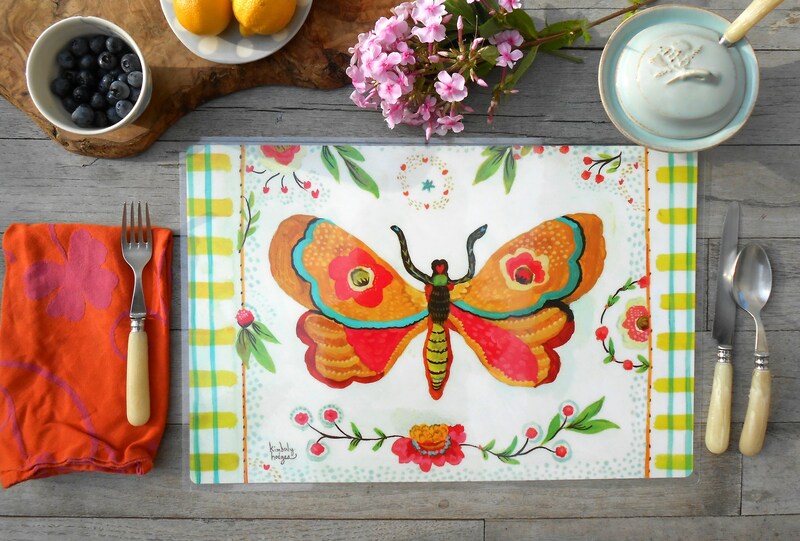 I have been designing placemats since 1997 and my customers tell me that the mats last 10 years and up! 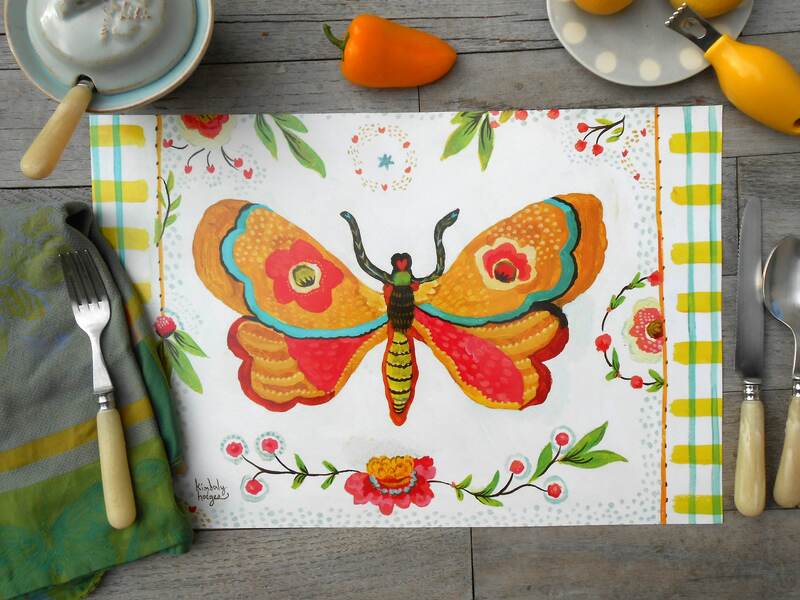 I have other designs in this collection so check them all out in my placemat section. 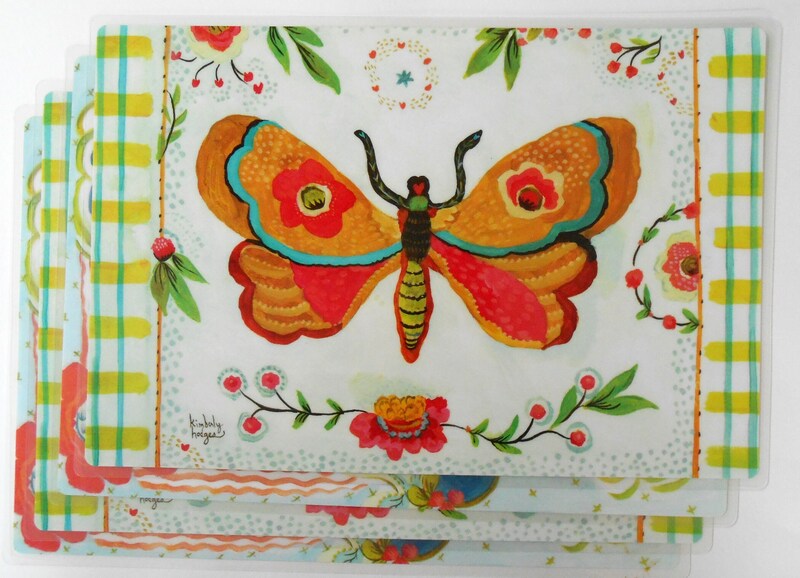 Beautiful placemats just like the ones I purchased years ago, from Kim, and am still using. 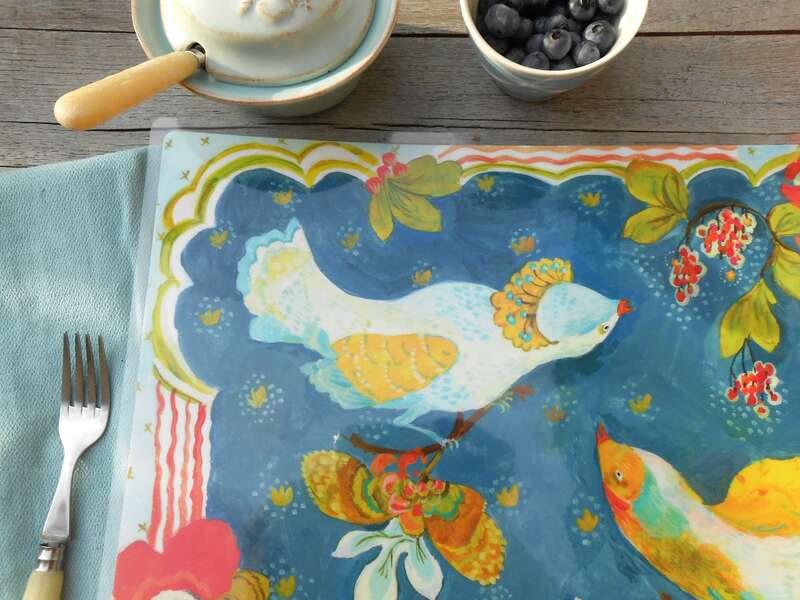 These are just beautiful, practical, and they add charm and whimsy to my dining room. 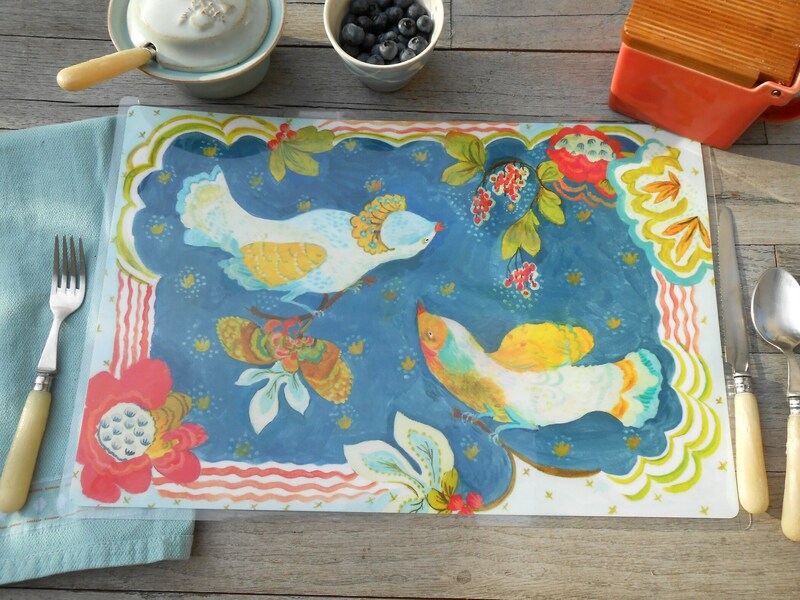 It's art for your table :) Love them, thank you!